For those of you not familiar with the term, “ABC” in this case means “Anything But Chardonnay”–meaning there is a contingent of the wine drinking populace that is stringently anti-Chard, but I am here to boldly state that “ABC” is dead (or at least it should be). At least I get why this “movement” (I guess it is more of a “sentiment”) came into being: Chardonnay is the most popular white wine variety in the world (OK, some claim there are more acres devoted to Airén, but go ahead and find me a bottle of that at the local wine shop), and a decade or so ago, many (most?) California Chardonnays were big oaky messes. Back at the beginning of the “modern” California wine trade, winemakers tried to emulate the white wines of Burgundy–the home of Chardonnay (and if you have ever had a wine with “Montrachet” on the label, you will know why). To do this, many California Chardonnay producers aged their wine in oak, as did their French brethren. The problem is that American oak imparts a much heavier oak taste to the final product than does the French oak that is used in Burgundy. So when Americans started drinking more wine a few decades ago, white wine (which was overwhelmingly Chardonnay) tended to be big, creamy, buttery, and oaky. The more the people consumed, the more was produced and many (most?) wineries started to imitate the big oaky style, hoping to make people smile and even happy for a while (hidden 1970’s pop-music paraphrase). But something happened on the way to utter Oenophilia: in the rush to make more and more wine in the popular style at every price point, corners were cut, philosophies may have been compromised, and a lot of crappy wine was made. As a result, as more wine drinkers came into the market, they learned that “Chardonnay” meant a big, buttery wine from which you were likely to get splinters. Instead of highlighting the fruit, Chardonnay, at least in the U.S., had become, to borrow a phrase, one big Oak Monster, which is why people began to request “Anything But Chardonnay” when requesting a white wine. Eventually, Chardonnay producers started to take their collective foot off the Oak pedal, and today, although there are certainly still bigger California-style Chardonnays to be found, many more Chards that are fermented/aged in French oak, “neutral” oak (once a barrel has been used for more than 2 years, the oak influence it imparts into the wine is negligible), or even “Unoaked” where the wine only sees stainless steel (or concrete, but that is another post). Thus, today, there are so many quality Chardonnays that highlight the fruit and stay away from oak, that “Anything But Chardonnay” is a thing of the past (or at least it should be). Now if you want to form a ABPG (Anything But Pinot Grigio) group, I am all ears…. Here are a few Chardonnays that I have recently tasted that even the most stringent ABC adherent could embrace. 2013 Carmel Road Unoaked Chardonnay Monterey: Retail $18. Under twist-off. 100% Stainless fermented and partial malolactic fermentation. Pleasant nose of lemon with some mineral notes. Very nice acidity on the palate with vibrant acidity, a bit of honey, and a chalky base on the finish. Very Good. 87-89 Points. 2013 La Crema Sonoma Coast Chardonnay: Retail $23. Composite cork (not a fan). Lemon, oak, vanilla, and even a little cherry on the onset, with vibrant flavors of lemon again, but with pretty vibrant acidity (as it warms up). I would hazard to state that this wine needs to be served slightly warmer than refrigerator temperature–perhaps 52-63 degrees (like the precision? ), where the acidity is no longer muted and the fruit plays an integral role. Very Good to Outstanding. 88-90 Points. 2013 La Crema Chardonnay Russian River Valley: Retail $30. Very closed initially on the nose, not getting much at all. Eventually some melon and pineapple with a hint of oak. Nice on the palate–unctuous, but not overly so with good acidity and a slight hand with the oak. the finish is slightly flinty with a touch of Meyer lemon. Outstanding. 89-91 Points. 2013 Robert Mondavi Chardonnay Napa Valley: Retail $19. This showed up on my door unannounced–which is a bit unusual (normally, wineries or marketing firms will contact me first–since shipping wine to PA is a pain in the tuchus–see any of the thousand posts I have already written on this subject). I have tremendous respect for what Robert Mondavi did for wine in the Napa Valley and this country in general, but I have to admit that since the takeover of the winery, well…. So with some apprehension, I plopped this in the fridge. Initially, I took this as a “traditional” California Chardonnay–creamy pineapple with a bit of oak on the nose. On the palate, however, this shows depth, with very nice acidity and some ripe fruit and the oak is certainly minimal. In fact, this is a solid effort–particularly given the modest price. Very Good. 86-88 Points. 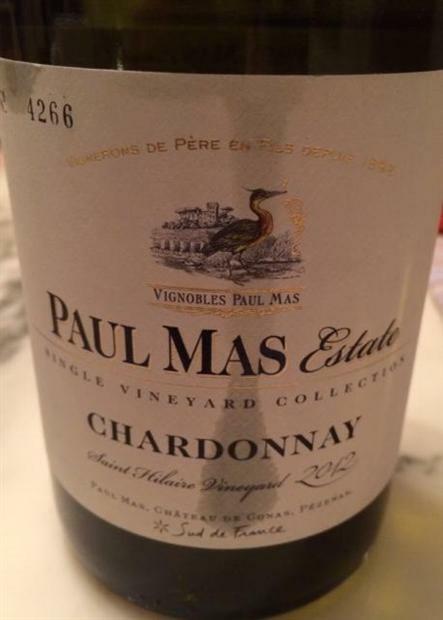 2012 Paul Mas Estate Hilaire Single Vineyard Chardonnay: Retail $15. $15? Really? While no one will confuse this with a DRC Montrachet, there are some really nice aromatics on this wine: pineapple, pear, melon, and more. On the palate, not a hint of oak, but there is a bit of creaminess. I would guess some, but not all malo. Great acidity and even some minerality on the back. I was ready to have my doubts, but Jean-Claude Mas is really making some quality wines at great price points. Very Good, maybe more. 88-90 Points. This entry was posted in Chardonnay, Rant, Wine and tagged Chardonnay, Chardonnays, La Crema Sonoma Coast Chardonnay. Bookmark the permalink. ILC I Love Chardonnay. It can make some interesting and complex wines. And what goes better with salmon and hollandaise or herbed, roast chicken? I agree! Sure, it is ubiquitous, but there might be a reason for that–it does well in a variety of terroirs. I agree with it al, EXCEPT, and I am sure I am not 100% right but it’s my story and iam sticking to it. 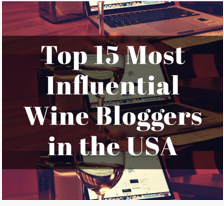 You left Washington Chardonnay out of the article, people forget that it is the top white grown here, and they led the way in lighter Oakes wines. My story is that California had to change to keep up with Washington, I will take a Bunnell Chardonnay any day over most California’s. However a Valley of the Moon (Sonoma) just came in my club shipment and it will be great as usual. You are right, I did leave Washington Chard out of the article. In part simply because we do not see a whole lot of it on the East Coast. The other main facet of what I was trying to say was that the ABC crowd came out as a backlash against the over done CA Chards, but now, it seems, CA producers have righted that ship. Your point that WA “led the way in lighter [oaked] wines” is an interesting contention…. So true! I have been to Woodinville many times (my sister-in-law lives in Bellevue, so it is even closer–and I am always looking for an escape, er, excursion). I have several bottles in the cellar that we brought back, including some Bunnell, Baer, and DeLille! Wish we could get more out here, though…. THANK YOU for this post! I was a huge “ABC”-type of person!! I remember the first time I tried Lindemann’s Chardonnay, possibly the worse wine on the face of the planet. I almost spit it during a nice dinner it was served with. Those “big, buttery, oaky messes” test my gag reflex something fierce. Then on our 5th wedding anniversary, during a beautiful dinner at a fine restaurant, our server suggested Catena Chardonnay to complement a fish dish. I turned up my nose but the server persisted. It was wonderful! It was the first time I tried un-oaked Chardonnay and it was absolutely beautiful. I buy as many as I can when they become available in the spring/summer here in Ottawa, and I’m always on the hunt for others. Thanks for supplying a nice list!!! I did not mention the Aussie wines (like Lindemann’s), but they certainly piled on the oak when they started flooding this country with cheaper wines. Many of them imparted an oak flavor with either oak planks or even oak chips suspended in the stainless vats (as did many in CA). It was a much cheaper way to get what they perceived was a desired flavor in the wine. Many of those wines were mass-produced and poorly made, which in my mind, is what the wine drinker should have been rebelling against, but that is a whole other rant. So bye-bye Miss ABC Pie… You didnt think that music reference would slil past me, did you? At least with the wine snobs I’ve met, the force behind ABC is the same as the anti-merlot (beyond Sideways). Its the thought that those wines are popular with all thise rubes who dont know anything about fine wine. For me theres a time and a place for all varietals and I very often enjoy chards. La Crema has always been a fave. Pretty much anytime I make a pop-music reference, it is with you in mind, my friend! I have been pleasantly surprised by the La Crema wines I have received. Given their ubiquitous nature, I just thought they would not be all that interesting, but they are really very good…. This “only dry Riesling for me” movement is really silly. Just had to get that out there seeing that it fits the topic. Cheers! SO true. We always ask our friends what Riesling they like, dry, semi-sweet, sweet…most say dry. And then we have them try from dry up, without telling them how we’re moving up in sweetness. And their eyes just start shining more and more the higher the sugar….just never let them know…:) Well done, Julian! While I would never say “only dry Riesling” I certainly lean that way, but as you know that is my Alsatian upbringing. I did not realize that there is/was such a stance today among the Germans. Are more producers responding by producing a higher percentage of dry Rieslings? I imagine the best fruit is still going into the “traditional” style…. The VDP (elite winemaker association) created a new type of dry wine called Grosses Gewaechs (GG), that allows its members to use the best fruit from their grand cru sites to make a dry Riesling from…and sell at almost US prices (and some of them actually do taste fantastic: never knew you could pack that much fruit into a dry Riesling). 🙂 So, yeah, there is definitely more and more dry Riesling of high quality available in Germany…and the sweet Rieslings mostly go into export. Shame. I’ll look up the numbers on percentage of dry to semi and sweet and let you know. Hmmm. Interesting. You have a new mission: Get one of those GG wines! That’s the key with so much, Julian–if people would only try it! 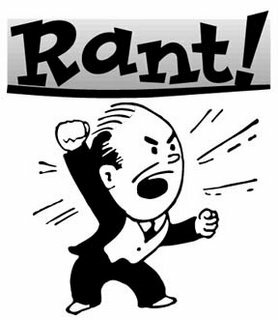 I pan Pinot Grigio as much as I possibly can, but I am really only talking about the PG that is made in the soulless, vapid style…. I wouldn’t drink Chardonnay for years because of that awful oakey crap. But, now I do again. Good to hear! Even up to a few years ago, most of the Chard in the “affordable” range was waaaaayyyy over done. It seems that now, they realize they no longer need to go there…. Yes, but I’m still a little gun shy on it. I only go for recommended or medal winning Chardonnay. Great post Jeff. I am one of those – anti-butter and -oaky. I have found a few un-oaked chards that are good, but i wouldn’t buy a chard without knowing what it tasted like first. i know i can get la crema, because i’m always getting the la crema pinot noir. can’t wait to try a couple of these out!!! La Crema really does a nice job–personally, I do not mind a little butter and oak, but when it is over the top, it really takes away from the enjoyment…. I always feel like it should be poured over popcorn. But each to his own, of course! Ha! I will need to try that! Not an ABC type person myself, but any place where Chardonnay seems appropriate I find myself reaching for a Trebbiano instead. My bias notwithstanding, the satisfying roundness of that varietal just seems to offer more in my limited experience. So by round, do you mean less tart–less acidity? I guess that is why I have a hard time with most Italian whites–they lack the acidity that I crave in a white wine…. Exactly…they are darker in color and less bracing in mouthfeel than say…Pinot Grigio. They’re atypical for the American palette I think but worth exploring! I’ll need to search a few more out…. Wow—amazing that just smelling an oaky Chardonnay could cause that reaction. Yikes! One of these days I will get there for that race! Glad you figured it all out–sounds rather miserable!